The holidays have arrived here in Cedar Fall, IA, and that means your kitchen sink is going to be seeing a lot more use. Holiday meals for visiting family members, cookies and other delicious treats from the oven, even the odd turkey sandwich put together from leftovers: Christmas and the holidays mean food, and with that food comes increased use of your kitchen sink and garbage disposal. You don’t want yours experiencing any kind of a problem during the holidays, which is why we strongly recommend you keep an eye on your garbage disposal for problems this holiday season. It lets you get a jump on the issue before interfering with a big meal or a visit from your gusts. Here’s a quick rundown of common signs of garbage disposal problems. 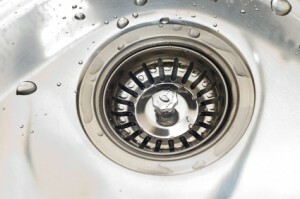 Are you considering installing a garbage disposal in your kitchen? Here’s the top 10 reasons why choosing the cost effective and efficient method of food disposal will improve your health, home, and life, in addition to having an impressive positive contribution to the environment. Old food sitting in your trash is prime real estate for bacteria and viruses. A sink garbage disposal can put potentially putrid waste in it’s place, holding disease causing bacteria at bay. A garbage disposal is a more healthy alternative to traditional trash. Spoiled food stinks and the odors can linger for days. 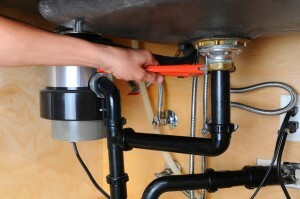 Garbage disposal is clean, convenient, and won’t leave you holding your breath. Modern garbage disposals are electrically efficient and inexpensive to operate. Waste incineration can lead to the release of environmentally hazardous gaseous materials. Garbage disposal actively reduces the amount of solid waste incinerated, and limits the distribution of gaseous and particulate pollutants. Waste disposed down the drain won’t require collection and transport to a landfill. A garbage disposal would reduce the contribution by waste management vehicles to atmospheric carbon dioxide, the number one human contributor to climate change. Decomposition of organic food waste in landfills releases greenhouse gasses like methane into the atmosphere. Methane is the second largest human contributor to climate change after carbon dioxide. Water treatment facilities are increasingly adopting a method of collecting and treating methane gas emitted from food waste decomposition. This process utilizes methane gas as an alternative, renewable energy source. Food put through garbage disposals are a major contributor of organic waste necessary for methane production. After methane collection, the remaining organic waste is processed and recycled. This product is used in agriculture and home gardening as an effective fertilizer. Food waste and odor are major contributors to the attraction of insects and other pests. A sink garbage disposal will eliminate this factor and reduce the appeal of your home to harmful pests. Trash bags are non-biodegradable and not environmentally friendly. Reduced waste from a sink garbage disposal will decrease usage of trash bags and further reduce environmental impact. The convenience offered by sink garbage disposal, in addition to the environmental and health benefits, make this decision easy. A garbage disposal would be a great addition to any home. Smelling a stink in the sink in your Cedar Falls home? That means you need a garbage disposal, just Call Dalton Plumbing, Heating, & Cooling Inc. at (319) 266-3513, and have an expert install one today! The garbage disposal helps to reduce the trash being thrown away and keep it from the landfill. When operating perfectly, the garbage disposal chops and churns the food particles into liquid, allowing them to flow easily down the pipes with water. The problem is that many foods that should not be in the disposal get trapped in the pipes and begin to solidify. They start to smell soon after and can cause a terrible odor in the kitchen area. Why Does the Disposal Smell So Bad? When foods that are recommended enter the disposal, they are chopped into such small pieces they easily flow right out of the home. It is those items that should not be chopped that do not break down small enough, becoming easily trapped to the inner walls of the pipes. There, the food particles simply begin to rot each day, emitting that terrible odor into your home. What Can a Plumber Do to Fix The Smell? Your local plumbing professional will open the pipes and scrub clean the interior surface of the pipes with an organic cleaning solution. This solution will remove any rotting food that is causing the smell, and the coating will also act like a barrier for future particles to simply slide right off. The food that is liquified by the garbage disposal will now flow right down the pipes like they were intended to. It is important to have your local plumber do a cleaning at least once a year to keep the pipes clear. This will get rid of that odor coming from the pipes in your kitchen. What Shouldn’t I Put into my Disposal? Obviously, bones of any sort should never be placed in the disposal because they can damage the blades and get stuck in pipes where another food particles will be attracted to. Never put oils or grease in your garbage disposal, they will eventually solidify overnight and cause the pipes to clog. Egg shells are very dangerous to the blades of the disposal, the membranes easily attach themselves to the metal and make it hard for the blades to properly chop other foods. Read the owners manual of your garbage disposal, many fruit and vegetable skins are also not recommended in the disposal. Rice and macaroni will continue to expand in the disposal, so throw them in the trash and not down the drain. If your home is in need of garbage disposal services, call Dalton Plumbing, Heating, & Cooling Inc. at (319) 266-3513 for the best services in the Cedar Falls area.